WellScore identifies people based on opportunity and your ability to have an impact and enables clinicians, coaches and care coordinators to focus existing resources where a difference can be made. 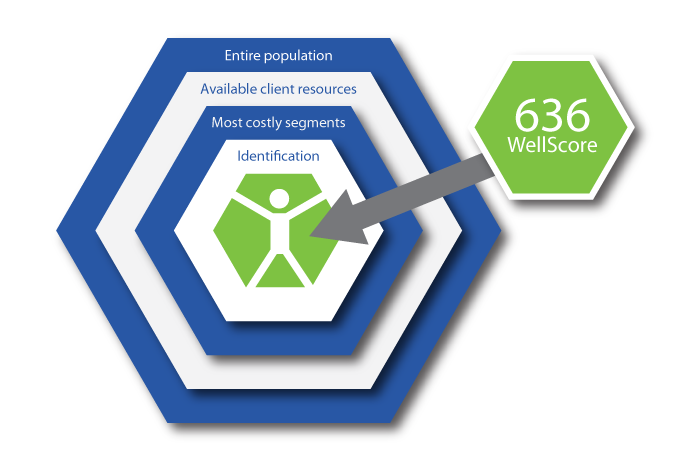 WellScore enables organizations to maximize the value of their population health management investments. WellScore allows organizations to identify and address root causes affecting health costs, productivity and the bottom line. There are not enough hours in the day to make a significant impact unless resources are focused. WellScore measures impact. It’s better than a risk score. One number provides you with a comprehensive indicator of an individual’s health status, lifestyle risk factors, care gaps and engagement. Where traditional risk scores use “black box” statistical models to measure “risk” from retrospective claims and demographics, WellScore is powered by clinical values and behavioral logic and identifies population segments that can be impacted by health improvement programs. 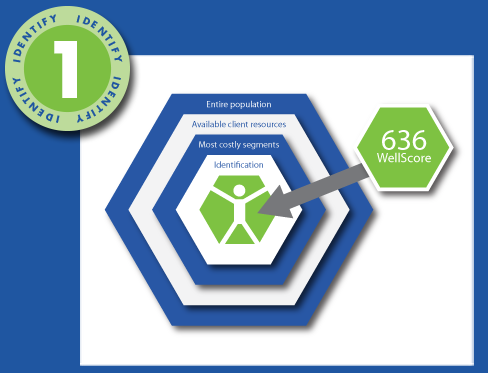 The WellScore360 Profile analysis allows organizations to focus on health – not data analysis.